Sound familiar? Daunting isn’t it? As wonderful as it is being your own boss, it’s also incredibly tough. There is so much to think about, so much to do and there’s just never enough time to do it all. 24 hours a day. That’s all you get. And once they’re gone, they’re gone. So if you are serious about growing your business without going completely insane in the process, you need to master the art of time management. Because the truth is you don’t need more time. You just need to learn how to better manage the time you do have. You’ve probably got a zillion ideas and tasks floating around inside that brain of yours. And it’s undoubtedly overwhelming. But getting it all down on paper can be surprisingly soothing for the soul. You could use an app (like Wunderlist or Todoist), but sometimes being a little old-fashioned and going back to pen and paper is the best way to escape more distractions. However you choose to record your brain dump, once you’ve written everything down you’ll probably find you already feel a touch calmer. But don’t stop there. Now you need to organise all those thoughts. Turn that random list into something useful. The second of our time management tips is about your calendar which should become your new best friend. But you don’t need to schedule absolutely everything, minute by minute. You’ve already created a to do list to define the tasks you need to get done. Now use your calendar to identify when you are actually going to do everything and how long it’s going to take you. But before you do this, take a long, hard look at your day. When are you typically most productive? Figure that out and structure your day in a way that lets you take advantage of when you are naturally at your most efficient. You should also allow for a couple of hours of unstructured time. Leave them free for thinking, learning, exploring. It may seem counter-intuitive but constantly firing on all cylinders, having every minute of your day scheduled back to back, burns you out. You’ll make more errors, become less productive, less efficient. Jeff Bezos always kept his Mondays and Thursdays free so he had time to think about his vision for Amazon. Being diligent about having this time means life won’t become so hectic that you have no time to think proactively about the future you want for your business. Set aside some time at the end of the day to set your schedule for tomorrow. Schedule time to do your scheduling. Write down what you want to achieve tomorrow. Whilst it’s fresh in your mind. When you log in in the morning, tackle those things first. Having a clear plan of action before the day even begins means you’ll be focused from the start. Not only that but you’ll start paying closer attention to what stuff is actually worthy of your time. 3. Remove Distractions. And Yes, Facebook, We Mean You. Email. Social media. Phone calls. Messaging. News feeds. What do they all have in common? They’re distractions. Huge distractions. Sometimes it even seems like they were designed for no other reason than to steal your precious time. To quash your efforts to nail the art of effective time management. So switch them off. Shut them out. Regain your focus. Improve your productivity. There is even a free Chrome extension, StayFocusd, that will limit the amount of time you can spend on certain sites or certain types of content. You can even set it to lock you out of the internet altogether if things are really bad. But as diligent as you may be about removing all those distractions, it is prudent to factor in time for interruptions, for unforeseen issues that may arise to steal your time and focus. We should stop thinking of work in terms of the number of hours we put in, and start thinking about how to simplify they way we work; how to get things done faster, how to do things better. In this technological age you can find ways to automate just about anything. Even if you only do this for a couple of your repetitive tasks, you could save yourself a few hours a week. What would you do with them? Spend them with your friends and family? Spend them thinking more deeply about your vision for your business? Spend more time on the stuff that’s really going to have an impact? The stuff you just don’t have time to do at the moment? So, if you find yourself answering the same old queries from customers time and time again, then consider setting up standard responses. Then all you have to do is copy and paste. Likewise, if you find yourself producing the same reports over and over, set up some templates. Are you drowning in social media posts? There are a lot of apps out there that will let you schedule your content in advance. You can read more about them here. You can also use systems like IFTTT or Zapier. These are apps that connect a wide variety of other apps to each other. Zapier have put together a really useful list of 101 ways that they can automate stuff for you. The last of our time management tips is this: as counter-intuitive as it may seem, if you want to improve your time management skills and get more done, you need to stop multitasking. Instead of doing a multitude of things half heartedly, focus on your most important tasks one at a time. So every time you switch your attention to another task, getting back your focus takes longer. So whilst you might feel like responding to those few emails that just came in is a good thing, a way of ticking off a couple more items off your list, consider this. According to a study conducted by Microsoft, it can take around 20 – 25 minutes to get back to what you were doing after answering emails or responding to a message. One very popular method of keeping your focus is the Pomodoro technique. This time management technique uses a timer to break down work into 25 minute intervals, punctuated by short breaks. You don’t need more time. You need to be better at time management. 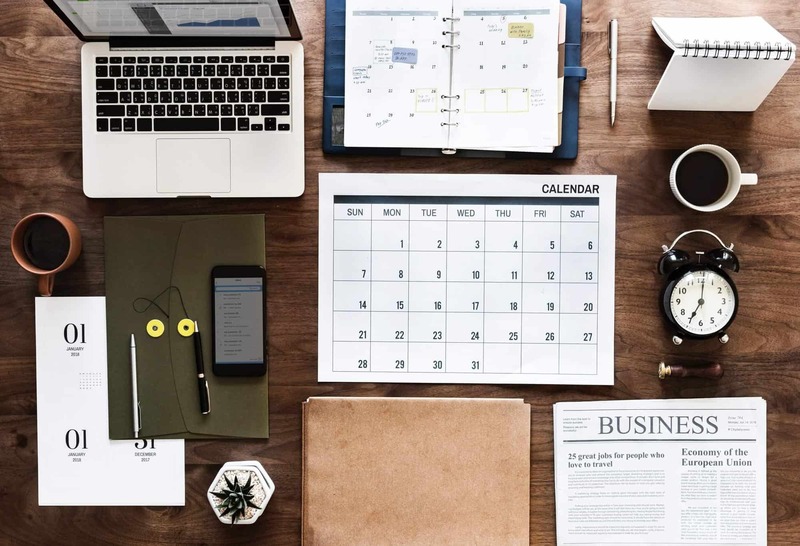 If you follow these time management tips and create and maintain a detailed to do list, if you make friends with your calendar and find ways to automate anything and everything you can, then you’ll find yourself working smarter in the hours that you do have. Switch off any distracting alerts, turn the ‘do not disturb’ status on, and solemnly promise to leave social media alone until this evening. Acknowledge and accept that multitasking is actually detrimental to your productivity and learn how to focus one one thing at a time. If you enjoyed reading our time management tips, why not book a free consultation with us and find out how else we can help lighten the load?